ILM used SOFTIMAGE|3D to animate a CG elephant walking step by step over a crushed car. 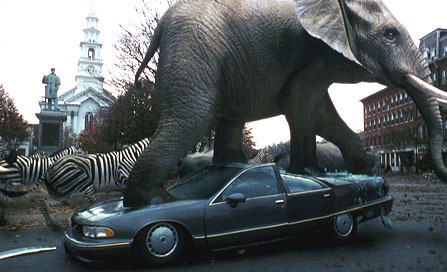 In one memorable shot in the stampede sequence, a CG elephant walks up and over a car, crunching the car underfoot. For this sequence, the ‘run cycles were abandoned in favor of hand animation. Here’s the complete article (PDF, 7.4MB). The quality of photocopies back in 1996 was pretty bad. 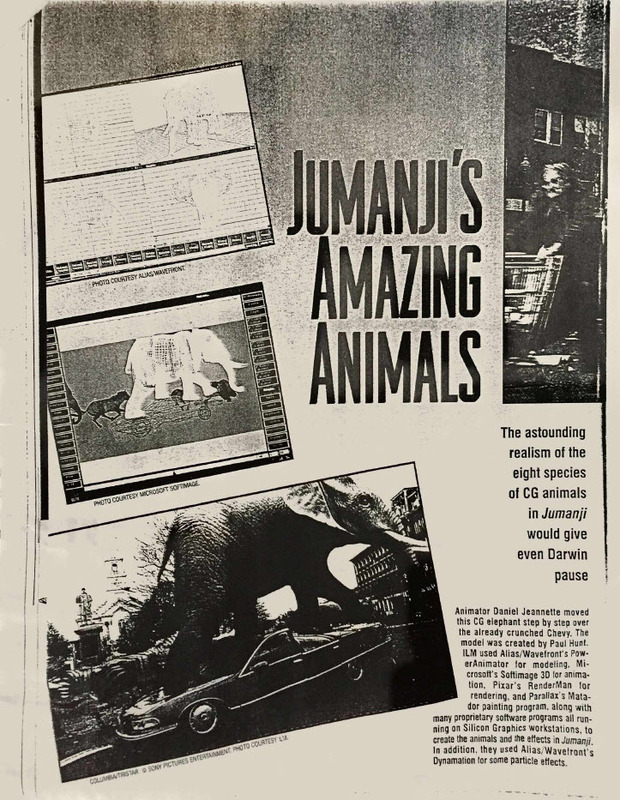 This entry was posted in Friday Flashback and tagged Friday Flashbacks, ILM, Jumanji, SOFTIMAGE|3D by xsisupport. Bookmark the permalink.